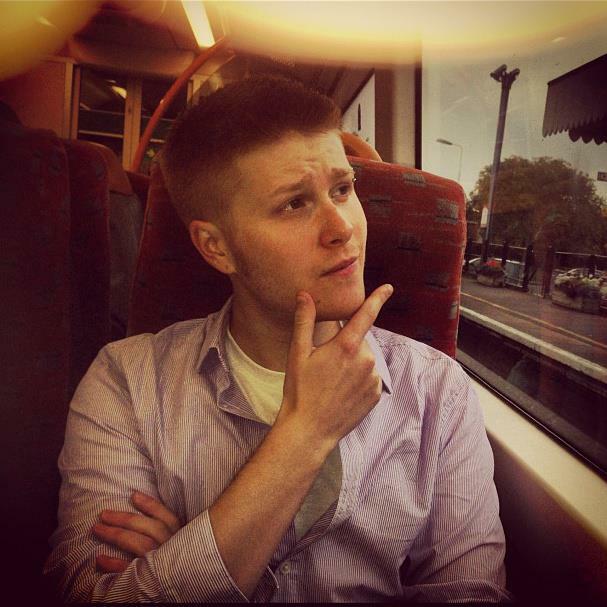 Sony first-party studio, Sucker Punch Productions are best known for their electric action-adventure series, inFamous. But it isn’t the first time that the Washington-based developer has managed to catch lightning in a bottle. Sly Cooper – recently featured in mascot brawler PlayStation All-Stars Battle Royale – is the star of a trilogy of Sucker Punch games that released on the PS2 between 2002 and 2005. 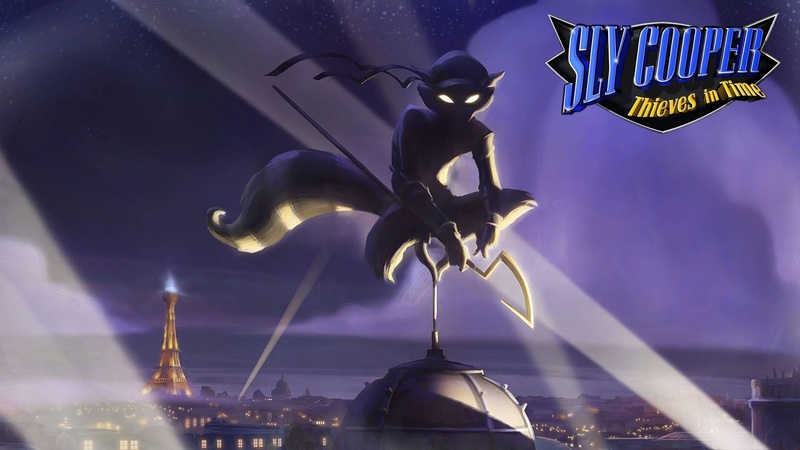 A series of cartoon-like 3D platformers with an emphasis on stealth, they told the story of Sly Cooper, Raccoon and master thief. The mischievous mammal is descended from a long line of chivalrous crooks, who’ve always favoured pilfering from corrupt governments and crime syndicates, over fleecing the innocent. Tragically his family tree was prematurely pruned when a gang known as the Fiendish Five led by Clockwerk, a cyborg-like owl, killed Sly’s father when he was just a cub. These fateful events led to Sly being raised in the Happy Camper orphanage. It was there he established lifelong friendships with Bentley, an intellectual, pint-sized turtle and Murray, a rotund, haphazard hippo. After leaving the orphanage the three assembled their own crew and began pulling off nail-biting heists and robberies. Unfortunately their escapades soon attracted the attention of Interpol Inspector Carmelita Fox, who made it her personal mission to put the raccoon rascal behind bars, despite his affections for her. The three PS2 titles told of the Cooper Gang’s various exploits and were received well by both gamers and critics alike. But when Sucker Punch moved on to their next franchise, a Sly Cooper-shaped hole was left that developer, Sanzaru Games were only too happy to fill. 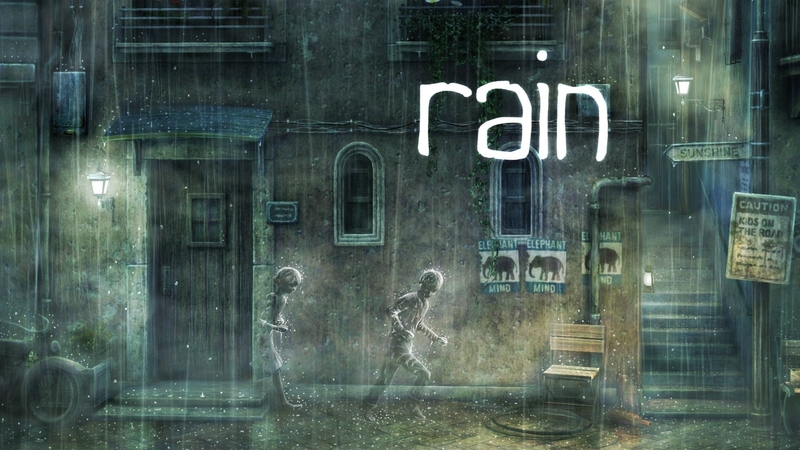 The Californian studio constructed a prototype game engine on spec for a new Sly title and presented it to Sony Computer Entertainment. Impressed with their efforts, Sony rewarded them with a development role converting the original trilogy into glorious HD, and subsequently a fourth instalment was green-lit. Unsurprisingly, Thieves in Time centres around… you guessed it: time travel. Bentley, the current guardian of the Thievius Raccoonus – the tome detailing the history of the Cooper lineage – notices that the volume’s pages are fading and transforming before his eyes. He concludes that some nefarious scoundrel has managed to travel back into the past and is interfering with the timeline for their own sinister purposes. At once he gets the band back together to do some time travelling of their own and put a stop to the mystery miscreant. 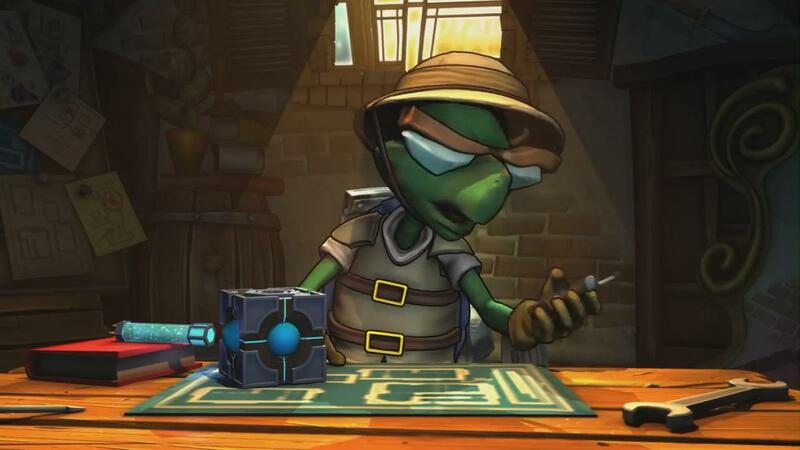 Gameplay in the upcoming adventure is similar to that of previous titles in the series. 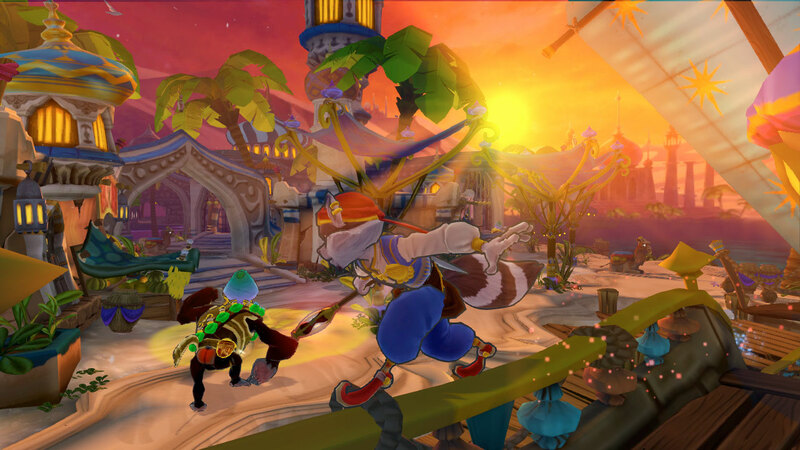 Players take control of Sly Cooper, as well as a host of other characters, as they stealthily traverse a variety of environments, navigating numerous obstacles in order to help return the timeline to its original state. Feudal Japan, Ancient Arabia and Medieval England are just some of the fascinating destinations the gang will visit on their expedition. Along the way Sly will encounter several of his ancestors from the various time periods, such as Rioichi Cooper – ninja warrior, Salim al Kupar – Arabian thief and Sir Galleth Cooper – honourable knight, and lend them a helping paw. 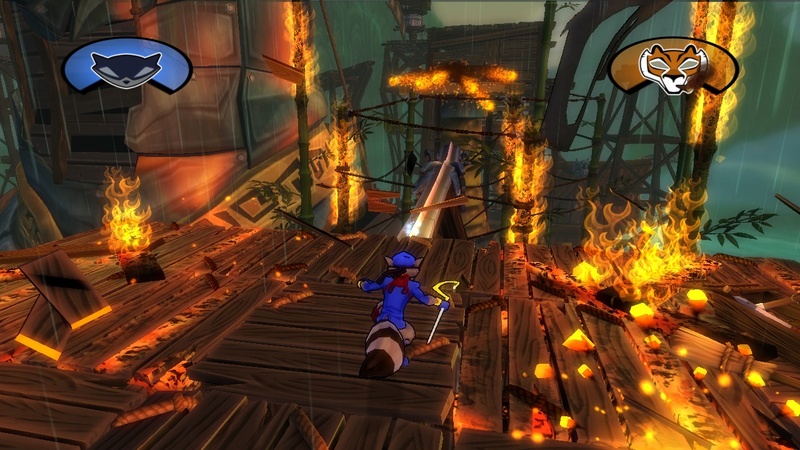 Many of Sly’s abilities make a return, such as tightrope walking, rope swinging, leaping between precarious platforms and pickpocketing guards. New to the game is a collection of costumes that can be amassed from different historical eras, which each provide Sly with a unique skill-set. The Samurai outfit makes him impervious to flames and allows him to deflect fireballs, but slows him down, rendering him unable to jump. The Arabian garb grants him the power to slow down time and wield a scimitar-like-blade to smash solid objects. Whereas the Robin-Hood-like archery suit lets him launch rope-bound arrows at targets to create makeshift bridges. Once owned a costume can be worn in regions the player has previously visited and employed to reach formerly inaccessible areas. Good news for Vita owners: just like PlayStation All-Stars Battle Royale and Ratchet and Clank: Q-Force, Thieves in Time is a cross-buy title. Upon purchasing a copy on the PS3, gamers will get the Vita version for free via a download from the PlayStation Network. Saves are transferable between the two platforms, allowing players to start their experience at home and continue it on the go. Plus the portable edition has a separate trophy list to its console counterpart, giving players the chance to bag themselves two platinums for the price of one. I’m afraid I must admit to never having played a Sly Cooper title. The original trilogy came along in a period of my life where my dedication to gaming had temporarily wavered. I do however have The Sly Collection gathering dust, unopened in my ever-growing pile of shame. So if I ever actually get round to playing it, provided I enjoy myself of course, I’ll definitely consider giving Thieves in Time a whirl. I don’t doubt that I’d love it. Colourful 3D platformers are most definitely in my wheelhouse. Plus I’m a huge fan of stealth games. So putting the two together sounds like a recipe for brilliance to me. Mmmm… scrumptious! Sly Cooper: Thieves in Time slinks into UK stores on March 27th 2013 exclusively for PS3 and Vita.